Working with a crowded desktop is a really frustrating experience. Why not try this little solution? 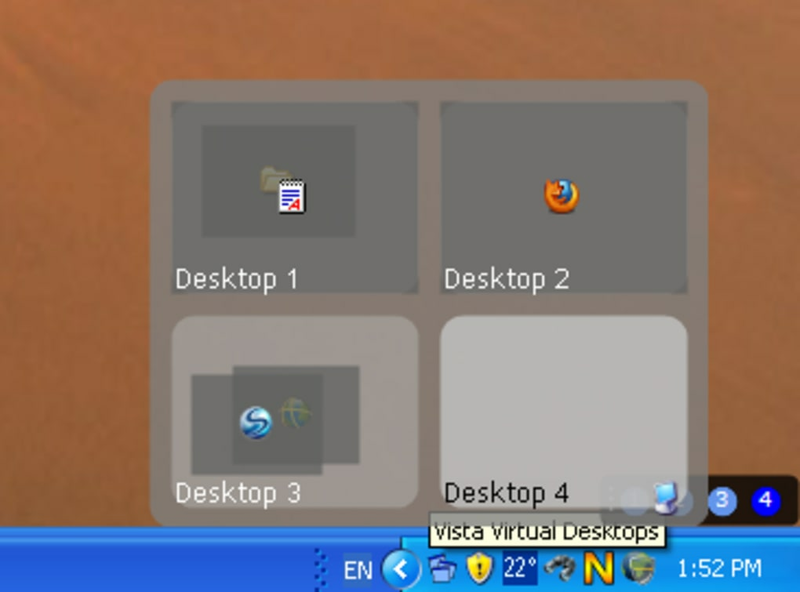 Vista/XP Virtual Desktop Manager is a simple tool to help maximize the physical space on your desktop by creating multiple virtual areas, all with their own elements. You can have up to one hundred virtual desktops, but, for most people, three or four will do. For example, say a student is finding it hard to work with all tools that are cluttering up his or her desktop. Using Vista/XP Virtual Desktop Manager, one solution might go like this - one desktop with his or her college work in Word and all the websites being used for research, a second one with all the instant messaging, VOIP and social networking applications he or she uses, and a third with his or her downloads and download managers. As all of these applications are open in different "areas", they help keep each individual desktop organized and tidy. 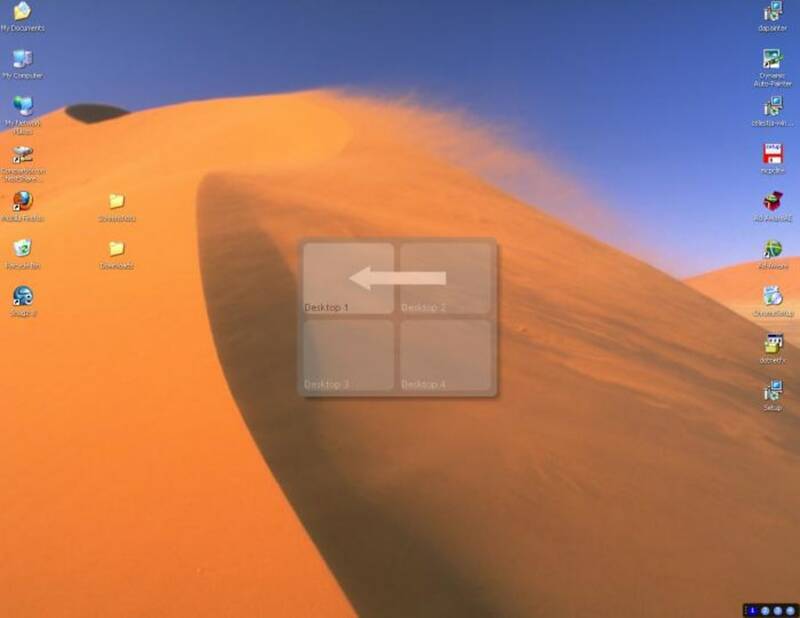 Vista/XP Virtual Desktop Manager can be controlled via hotkeys, a slimline taskbar that appears when the program is active, or by right clicking the icon in the taskbar. 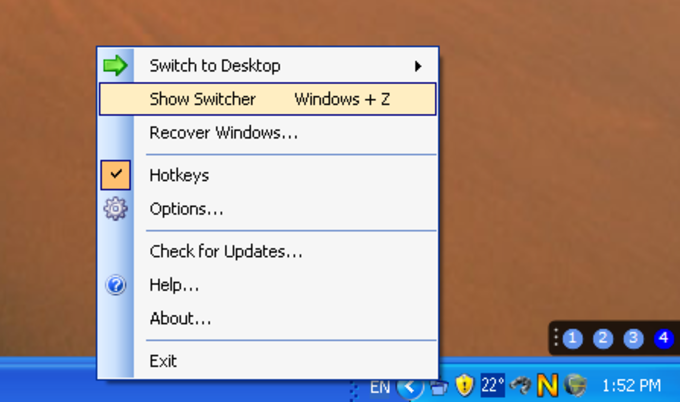 It has lots of configuration options, especially for controlling the hotkeys, and also displays a mini version of your open desktops when you roll over the icon. It comes with a help file, but I found the program slightly buggy at times. 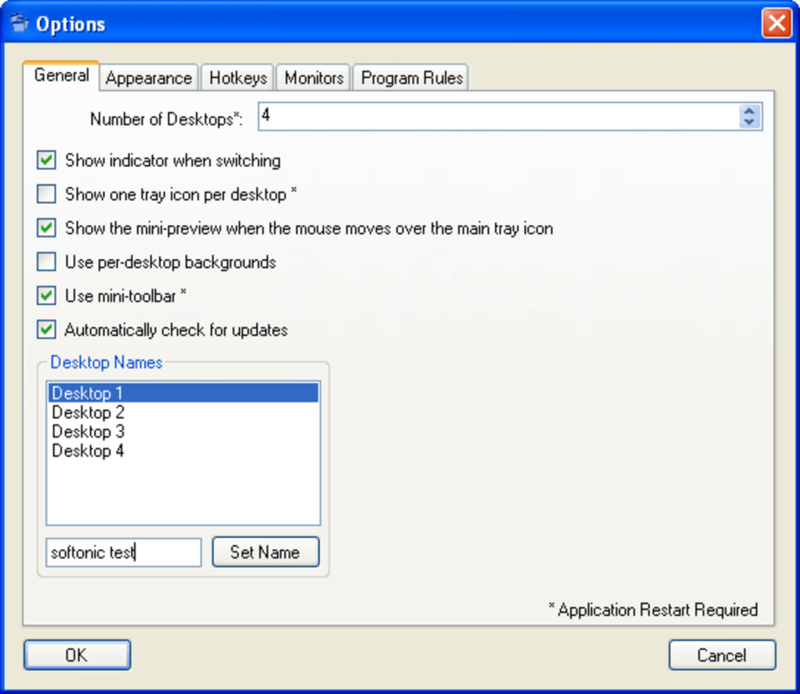 Vista/XP Virtual Desktop Manager is an easy solution for overcrowded desktops. 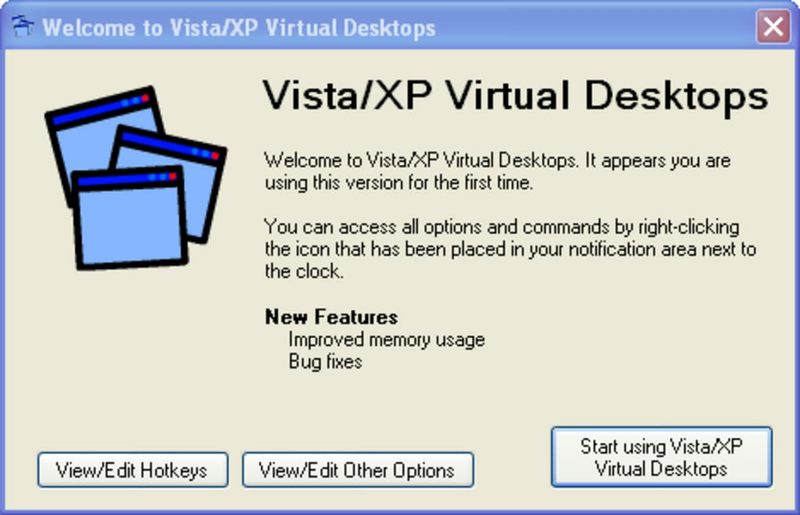 What do you think about Vista/XP Virtual Desktop Manager? Do you recommend it? Why?